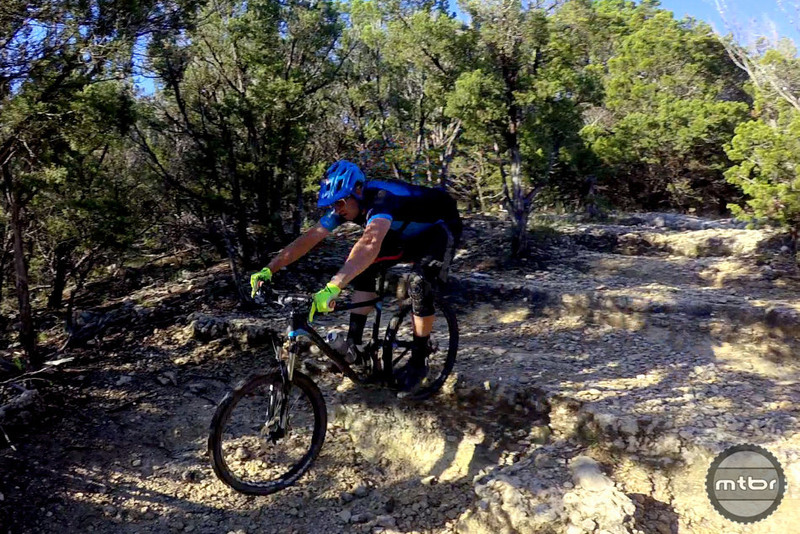 Local pro Tristan Uhl accompanied Jeff Lenosky on this Trail Boss adventure. 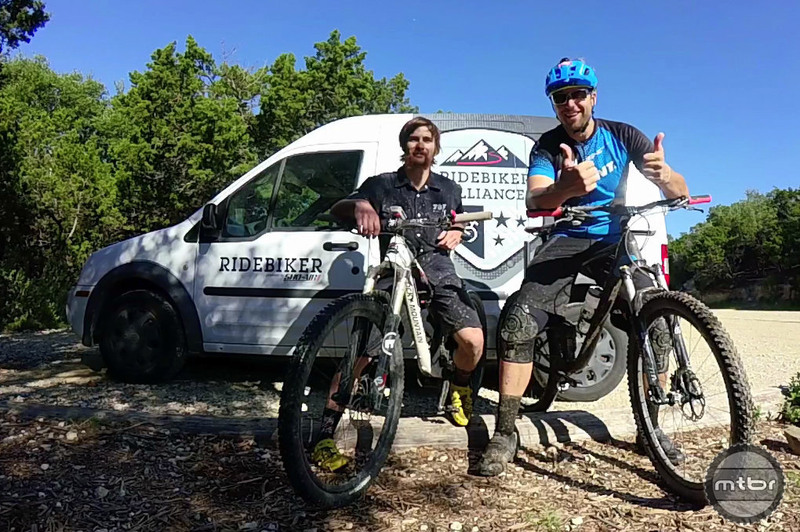 A good friend of Mtbr, Jeff Lenosky is creating a series of videos that can help us all become a “Trail Boss.” This first video release was shot in Austin, Texas, where he traveled for an Oskar Blues event, which include a donation of 60 bikes to an area school. While there, Lenosky got word of the hardest trail around — the Emma Long Motocross Park — and knew he needed to give it a shot. With local pro rider Tristan Uhl, Lenosky demystifies it by explaining the tools and the pace needed for the key sections of the trail. Press play to learn more. 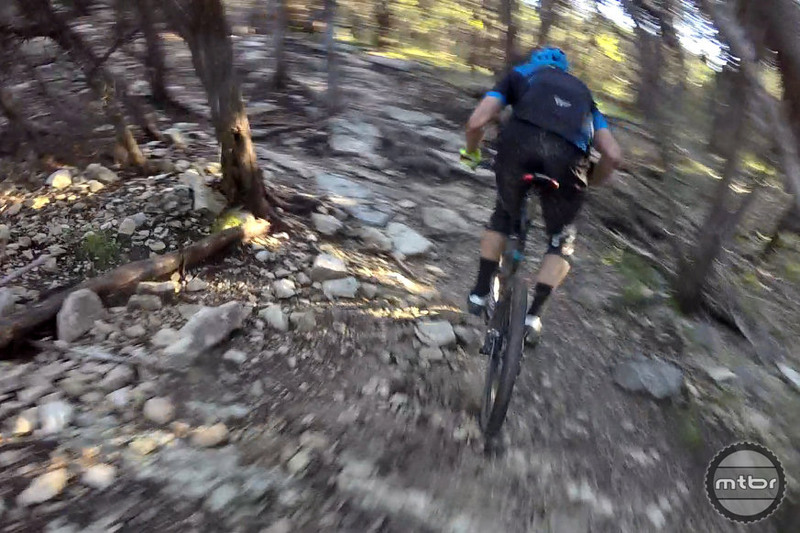 Weight shift and proper pace are key to getting a rhythm on this tech section. 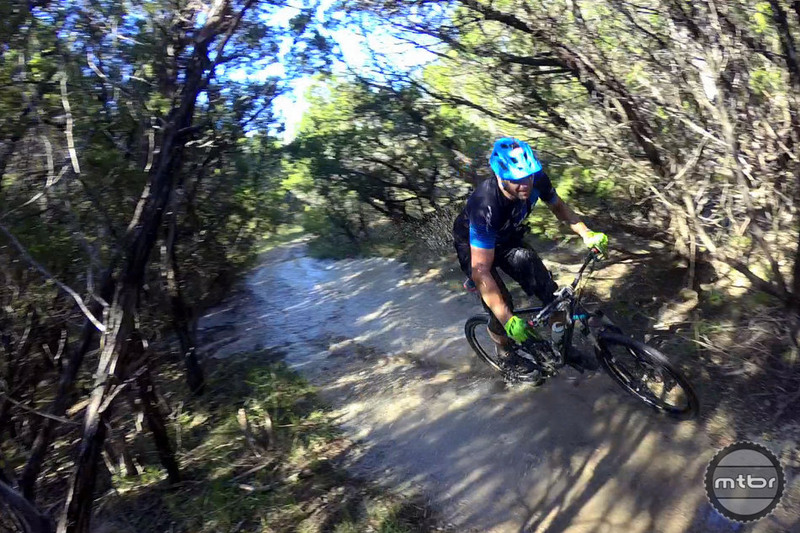 Lenosky going through a tunnel of trees in Emma Long Motocross Park in Austin, Texas. A veteran rider with a 20-year professional career and three observed trials national titles under his belt, Lenosky uses his skills to ride the unrideable in Trail Boss. To learn more about the series, check out Lenosky on Facebook. Not only weight shift but the proper pace are key to getting a rhythm on this tech section. Jeff going through a tunnel of trees in Emma Long park in Austin, TX. Not just rocks but loose rocks are the challenge here in Emma Long.